Robin Williams @ Law & Order: Special Victims Unit | Reserve Result. 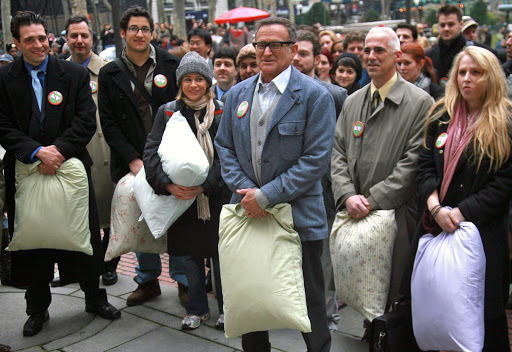 Oscar winner Robin Williams shoot his guest role on Emmy winner Mariska Hargitay’s Law & Order: Special Victims Unit (SVU) in New York City. In the SVU episode titled Authority, Robin Williams plays an engineer whose life has gone terribly wrong and who faces serious repercussions. The episode is SVU’s 200th episode and is scheduled to air Tuesday, April 29 on NBC.